Lately, I have been reading a lot about Mughal History and Thanks to Indu Sundaresan’s Taj trilogy starting with Meherunnisa’s (Nur Jahan’s) life right upto Jahanara Begaum and Roshanara Begaum , you get a very good idea about life and times of the Mughal Emperor his Zennna and off course the Court. 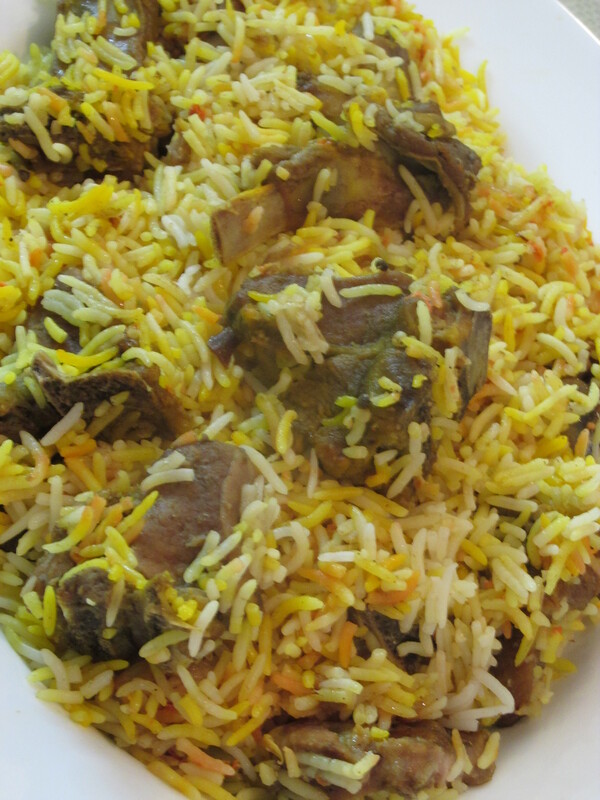 But what interested me most was the type of food they ate, The Ghosht, the kebabs, and not to forget the Biriyani. Mind you, those days 5 centuries back there were no gadgets and no electricity and yet they managed to dish out some of the most delectable food ever cooked.. I wonder now how without choppers and mixers and food processors could they manage all this. Many years ago long before I was born my parents use to reside in Murshidabad, in Bengal. My father was with the uniform Police there and in one of their visits to Hajar Durari Palace (The palace with 1000 doors) they were treated to a lunch of Biriyani and mutton kofta. My mother was so impressed with the food that she met the cook, his name Wasif Manzil and he was the head cook of the last nawab of Murshidabad Waris Ali Manzil . 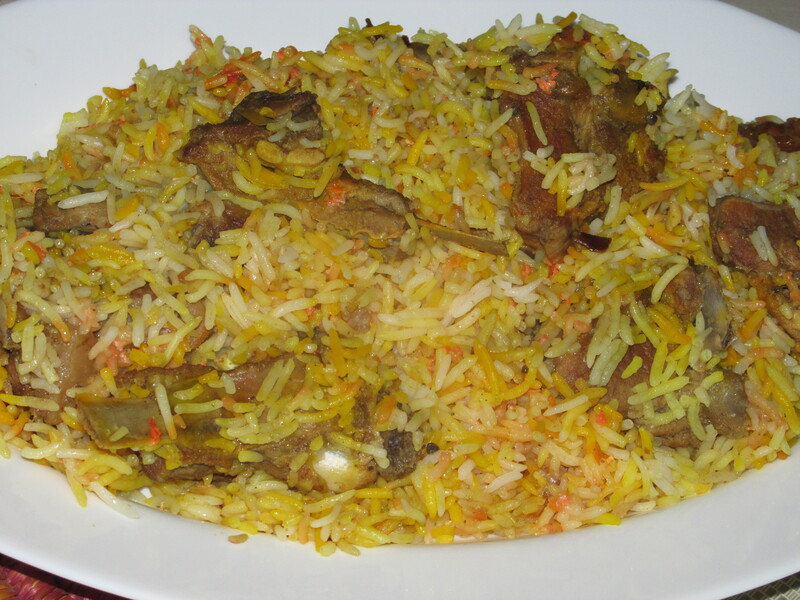 Now on much pleading did Wasif let out the recipe of the Biriyani, which he claimed his forefathers use to cook for Shah Jahan , Wasif was originally for Turkman Gate Delhi and he said this was Puranni Dilli ke Asli Biriyani and not the ones you would get in restaurants. Thankfully,my mother had the presence of mind to scribble the ingredients on to a piece of paper and remarkably that paper has survived over the last 32 years though now almost in taters. Before we lost the paper completely, I decided to recreate Wasif’s magic and save the recipe for posterity. Though i am quite sure he may have kept that one ingredient to himself that would make all the difference to the dish. Non the less, after so many years, my mother said that this dish came pretty close to the original one. Wash and drain the mutton, then in a heavy bottom panheat 3 table spoons of oil. Add the Onions, saute for about 3-4 mins on medium heat . Then next add the Galic paste, and let it cook for the next couple of mins. Finally, add the red chilly powder. Once the oil begins to separate add the Mutton and cook it on high heat for about 7-8 mins. Next add about 2 glasses of Chicken stalk and let the meat simmer for 25-30 min on medium heat till it is almost cooked say 80 % or so. By the time the meat is cooked the gravy should be lightly coating the meat. Next mix the yogurt, ginger, and green chilies in a bowl, in a separate cup heat half a cup of milk and dissolve the saffron. 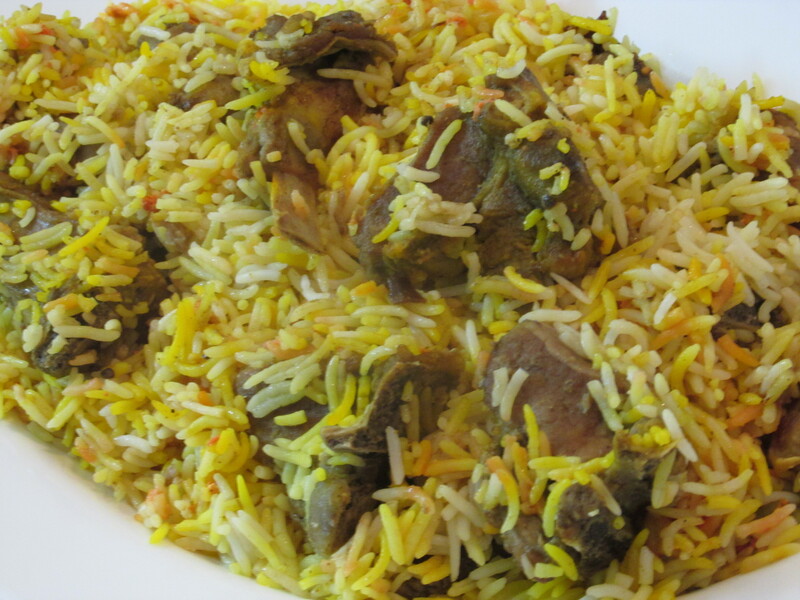 Now in a heavy bottom pan, layer the meat, add a table spoon of the yogurt mix and then the rice and saffron. Repeat till all the meat and rice is used up. Do not mix them or stir with a spoon. Add 1/2 cup of hot water and cook it at high heat, then seal the pan with whole wheat dough and cook it on low flame for 40 mins (this is called Dum ) . Once ready mix and serve. At this point I added my own ingredient, a little mix of almond essence just a few drops to give it that nutty flavour. If he was Wajid Ali Shah’s cook, he’d have been from Oudh, not Bengal. The last nawab of Murshidabad was Waris Ali Mirza. But the dish looks yum, and in all probability was enjoyed by the notables of Bahadur Shah Zafar’s court. About Mughal history, I’ve been reading a lot about it as well (hence the nitpicking comment earlier), and I loved The Last Mughal, by William Darymple, mostly because I love his style and the huge cast of characters he draws for readers.